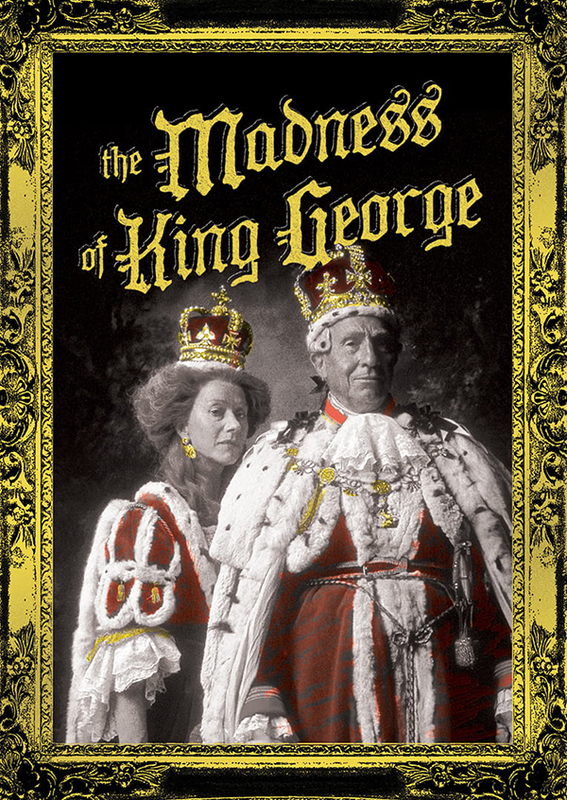 Based on the true story of the deteriorating mental health of Britain’s King George III, The Madness of King George is historical drama at its entertaining best. 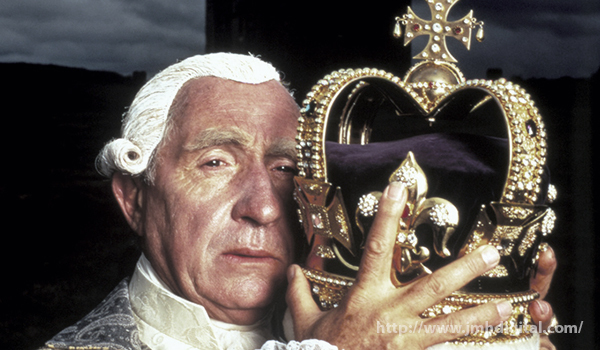 With a cast of British acting royalty led by Nigel Hawthorne (Amistad) as the “Mad King”, George III, the film features Helen Mirren (The Queen) as Queen Charlotte, the King’s wife and staunchest supporter; Rupert Everett (My Best Friend’s Wedding) as George, eldest son and the Prince of Wales; Ian Holm (Time Bandits) as the caring Dr. Willis whose radical treatment of mental disorders is viewed with skepticism by the royals; Rupert Graves (TV’s Sherlock) as Captain Greville, the King’s equerry; and Amanda Donohoe (The Lair of the White Worm) as Lady Pembroke, attendant to the Queen. The Madness of King George is directed by Nicholas Hytner (The Crucible), written by Alan Bennett (based on his stage play The Madness of George III), photographed by Andrew Dunn (Precious, Gosford Park) and features a selection of classical compositions by George Frideric Handel, adapted and arranged by George Fenton (Dangerous Liaisons, The Crucible). Nicholas Hytner (The Crucible) made his film directing debut with The Madness of King George which would garner four 1995 Academy Award nominations including Best Actor (Nigel Hawthorne), Best Supporting Actress (Helen Mirren), Best Writing Adaptation (Alan Bennett), with Ken Adam and Carolyn Scott taking home awards for Best Art Direction.